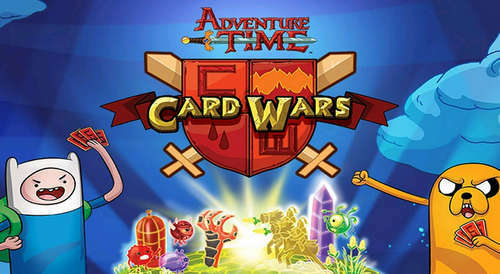 Adventure Time fans will be thrilled to know that Cartoon Network has made a game based on the "Card Wars" episode. It's obviously a card battler (better than most on the Play Store) with epic card combat, custom decks, and high stakes battles. Card Wars Adventure Time has you occupy four lanes with your summoned creatures to stop the summons in the opposite lanes getting through and damaging the player directly. There are spells and buildings, but mostly mostrous creatures. Last one standing is the Cool Guy! Valentine’s Day Quests for Adventure time fans!